All the newly-released crime books I'm recommending, organized by month! Without further ado, on to my June recommendations! This post contains Amazon Affiliate links. Crime by the Book is a participant in the Amazon Services LLC Associates Program, an affiliate advertising program designed to provide a means for sites to earn advertising fees by advertising and linking to Amazon.com. My Quick Thoughts: Spring’s must-read twisted psychological thriller. 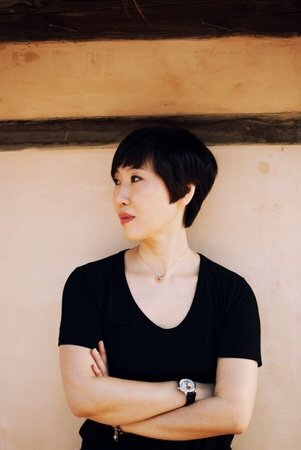 THE GOOD SON is the first of prolific Korean crime writer You-jeong Jeong’s books to be translated into English, and it packs a punch. 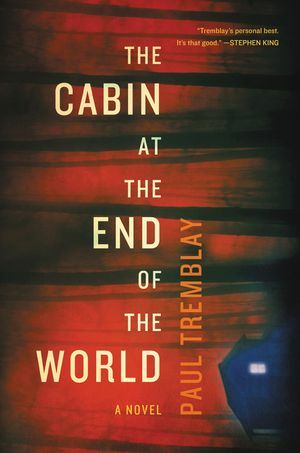 The book begins with a chilling premise: a young man wakes up to discover his house drenched in blood, and his mother’s lifeless body lying on the stairs. But there’s one more problem: our protagonist can’t remember anything about the night before. What follows is a deep-dive into the secrets hidden in this family - and the dark psychology of one of our story’s characters. This book is a doozy. It’s razor-sharp suspense—Jeong does a superb job crafting a thriller that is bone-chilling and truly unputdownable. The premise of this book - the idea of a witness to a crime being unable to remember crucial events - may sound familiar, but don’t be fooled: there’s nothing typical about this story. Perhaps most compelling is the clinical detachment with which Jeong writes about truly horrific events. Add in an exploration of family dynamics and obligations and you’ve got yourself a summer must-read. Plot Details: Who can you trust if you can't trust yourself? Early one morning, twenty-six-year-old Yu-jin wakes up to a strange metallic smell, and a phone call from his brother asking if everything's all right at home – he missed a call from their mother in the middle of the night. Yu-jin soon discovers her murdered body, lying in a pool of blood at the bottom of the stairs of their stylish Seoul duplex. He can't remember much about the night before; having suffered from seizures for most of his life, Yu-jin often has trouble with his memory. All he has is a faint impression of his mother calling his name. But was she calling for help? Or begging for her life? Thus begins Yu-jin's frantic three-day search to uncover what happened that night, and to finally learn the truth about himself and his family. A shocking and addictive psychological thriller, The Good Son explores the mysteries of mind and memory, and the twisted relationship between a mother and son, with incredible urgency. My Quick Thoughts: Liz Nugent is an undeniable talent, and LYING IN WAIT is bound to be one of my favorite suspense novels of the summer. In a story that’s equal parts character study and examination of a crime’s fallout, Nugent delivers an incisive and just-plain-entertaining summer read. LYING IN WAIT isn’t a whodunnit - readers know who the perpetrator of the story’s central crime is from the book’s first sentence. Instead of focusing on the “who,” Nugent focuses on the “why”—and what follows is a three hundred and sixty-degree view of a dark moment in a family’s history. Nugent is at her best when exploring the dark impulses of humanity, and LYING IN WAIT has that in spades. 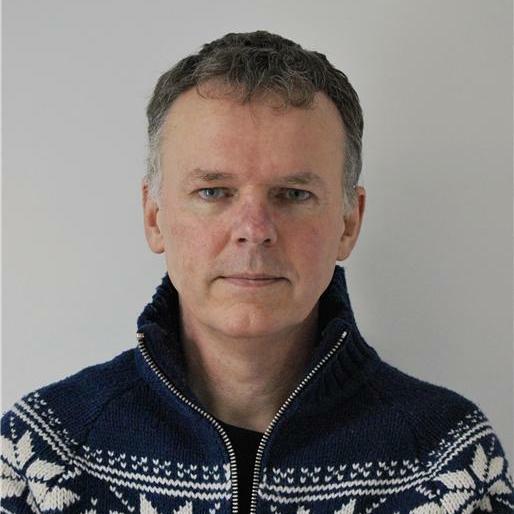 The characters in this book are unlikeable in the best possible way; readers will be fascinated by their flaws, and will find it unsettling to recognize some of their own flaws in the characters Nugent so deftly traces. Insecurity, greed, possessiveness - less-than-admirable traits that live in many of us are reflected on the page to superb effect. 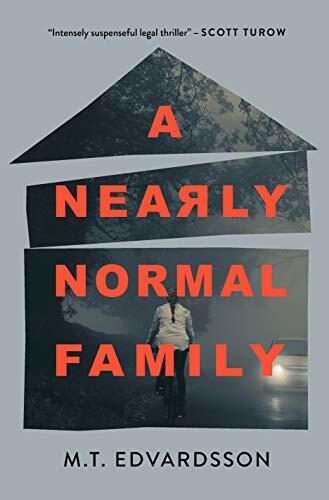 Pick this book up for an insightful and immersive examination of how a family can go from picture-perfect to dark and twisted. Plot Details: My husband did not mean to kill Annie Doyle, but the lying tramp deserved it. On the surface, Lydia Fitzsimons has the perfect life—wife of a respected, successful judge, mother to a beloved son, mistress of a beautiful house in Dublin. That beautiful house, however, holds a secret. And when Lydia’s son, Laurence, discovers its secret, wheels are set in motion that lead to an increasingly claustrophobic and devastatingly dark climax. For fans of Ruth Ware and Gillian Flynn, this novel is a “seductively sinister story. The twists come together in a superbly scary denouement, which delivers a final sting in the tail. Brilliantly macabre” (Sunday Mirror). 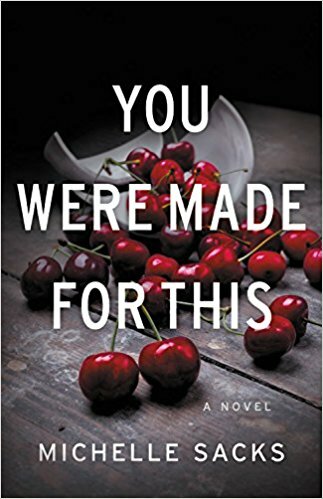 My Quick Thoughts: YOU WERE MADE FOR THIS has everything surface-level going for it: an eye-catching cover, an on-trend plot, an intriguing locale (rural Sweden) for its backdrop. But what makes this book really work, and elevates it beyond a more typical summer suspense novel, is its chilling exploration of the pressures of motherhood. 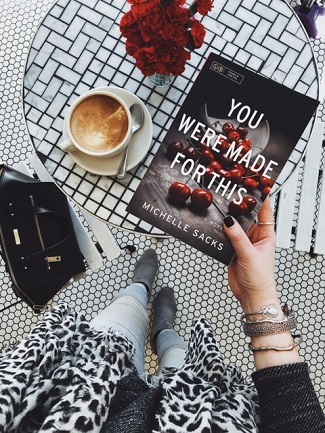 Through the picture-perfect family at the book’s center, YOU WERE MADE FOR THIS skewers the pressures placed on women to maintain that idyllic facade publicly, regardless of the inner turmoil they may experience privately. Similar to LYING IN WAIT, YOU WERE MADE FOR THIS is another book with unlikable characters, so do go into it with that expectation - you’re not likely to find yourself cheering for a single character in this book, and I expect that's exactly how the author would like you to react to the men and women who fill her book's pages. But the caustic personalities of these characters serves a purpose, and the social and interpersonal pressures explored within the book’s pages make it clear exactly why the author crafted these characters to be as unpalatable as they are. Bonus: YOU WERE MADE FOR THIS follows an American couple who moves from New York to rural Sweden - a life plan I can personally get behind! Plot Details: Doting wife, devoted husband, cherished child. Merry, Sam, and Conor are the perfect family in the perfect place. Merry adores the domestic life: baking, gardening, caring for her infant son. Sam, formerly an academic, is pursuing a new career as a filmmaker. Sometimes they can hardly believe how lucky they are. What perfect new lives they've built. When Merry's childhood friend Frank visits their Swedish paradise, she immediately becomes part of the family. She bonds with Conor. And with Sam. She befriends the neighbors, and even finds herself embracing the domesticity she's always seemed to scorn. All their lives, Frank and Merry have been more like sisters than best friends. And that's why Frank soon sees the things others might miss. Treacherous things, which are almost impossible to believe when looking at this perfect family. But Frank, of all people, knows that the truth is rarely what you want the world to see. My Quick Thoughts: William Shaw has a knack for writing the kinds of characters you want to spend as much time with as you can. This was true of Shaw's previous standalone THE BIRDWATCHER, and it's true of SALT LANE, too. In SALT LANE, Shaw draws readers into the life of Sergeant Alexandra Cupidi - a newcomer to her town and her town’s police force. Cupidi is a complicated woman, and one of the greatest strengths of this book is the detail and care Shaw puts into crafting its leading lady. Cupidi is headstrong, committed to both her work and her role as a single mother, and an all-around sympathetic and engaging character—readers looking for a protagonist to root for will find much to love here. Couple Shaw’s strong character development with the mastery of his plotting, and you have yourself a winner. SALT LANE has the kind of brooding, rich atmosphere of authors like Tana French, and the layered, precise plotting of the best police procedurals. If you’re in the market for something slow-burning and immersive with a compelling police investigation at its core, SALT LANE will be right up your alley. Plot Details: Sergeant Alexandra Cupidi is a recent transfer from the London metro police to the rugged Kentish countryside. She's done little to ingratiate herself with her new colleagues, who find her too brash, urban, and--to make matters worse, she investigated her first partner, a veteran detective, and had him arrested on murder charges. Now assigned the brash young Constable Jill Ferriter to look after, she's facing another bizarre case: a woman found floating in local marshland, dead of no apparent cause. The case gets even stranger when the detectives contact the victim's next of kin, her son, a high-powered graphic designer living in London. Adopted at the age of two, he'd never known his mother, he tells the detectives, until a homeless woman knocked on his door, claiming to be his mother, just the night before: at the same time her body was being dredged from the water. Juggling the case, her aging mother, her teenage daughter, and the loneliness of country life, Detective Cupidi must discover who the woman really was, who killed her, and how she managed to reconnect with her long lost son, apparently from beyond the grave. Because “so many books, so little time” is a far-too-true saying - here are a few additional June releases that I haven’t had a chance to read yet, but which sound very intriguing and may be worth checking out!